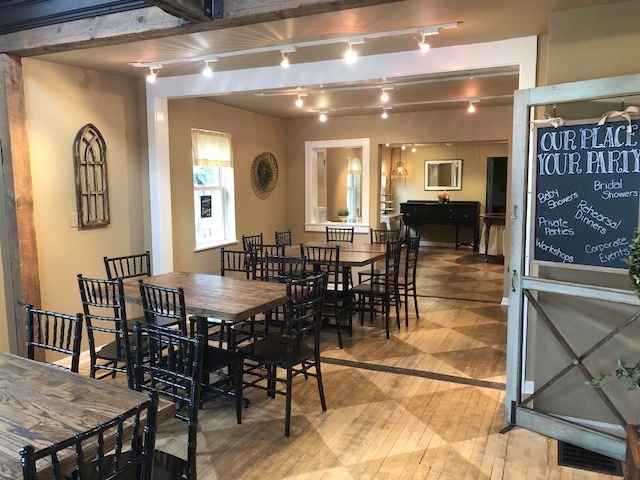 210Cedar is a boutique event space located in the Century Corners Historic Shopping District in downtown St. Charles, IL. 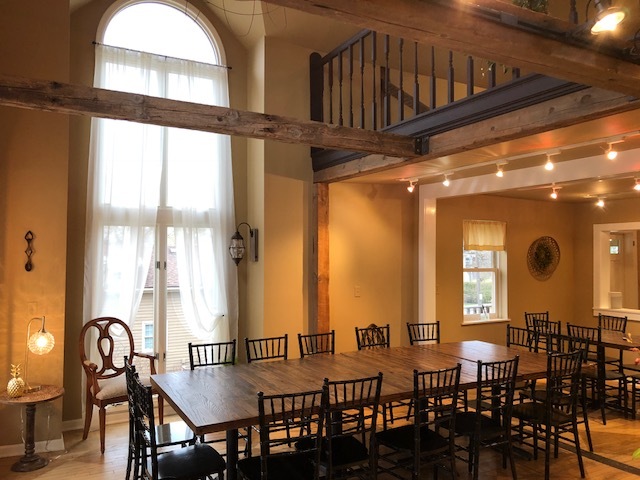 Exposed beams, natural light and an outdoor space with a view of the city, make this venue the perfect spot for gatherings of all types. We want our guests to feel at home and have created a space that is warm and inviting. It is a place where old memories can be shared and new ones will be made. We are a venue that caters to smaller groups and can accommodate up to 40 guests. Clients provide their own food and beverage. This means that you can choose to host a formal sit-down dinner, an informal pizza party or something in-between. We are happy to provide a list of preferred vendors and will help you design an event around your personal needs. Let us help you host your next special occasion. Remember - Our place. Your party.